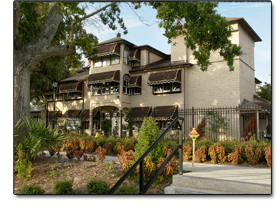 The Casements, named for the large hand-cut casement windows that adorn the mansion, has been beautifully restored to function as the Cultural Center for the City of Ormond Beach, Florida. Set on the shore of the Halifax River, and just two blocks from the Atlantic Ocean, the late John D. Rockefeller's winter home is known as "The Jewel of Ormond Beach." 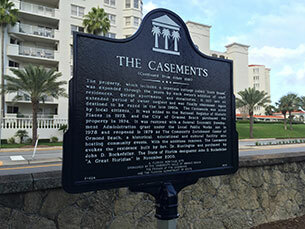 The Casements has been officially listed on the National Register of Historic Places and has been designated as a Florida Heritage Site. The Casements welcomes visitors Monday through Saturday, please check the event page for tour times. Come learn about the history of the mansion and grounds. Visit special displays including Boy Scouts of America historical memorabilia and a collection of Hungarian festival costumes and artifacts. 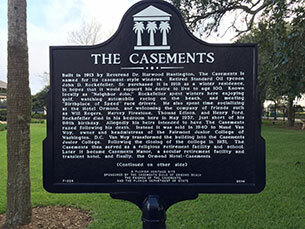 The Casements also hosts numerous events throughout the year. Check our Events Calendar to see our exciting upcoming festivities. 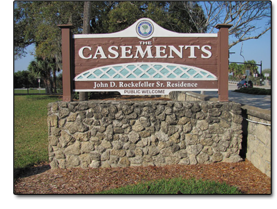 Conveniently located near all that Ormond Beach has to offer including shopping, restaurants, and pristine white sand beaches... make The Casements part of your trip to Central Florida! 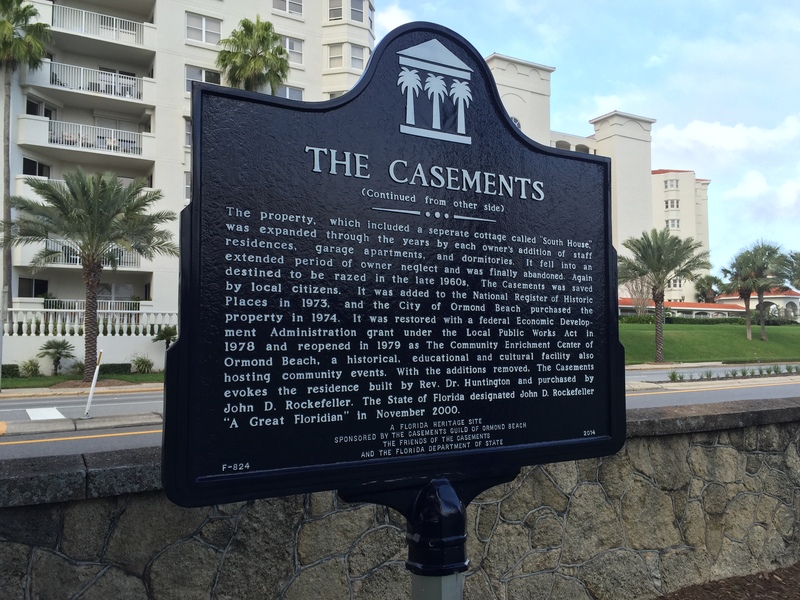 In 2014, the Florida Bureau of Historic Preservation designated The Casements as a Florida Heritage Site. 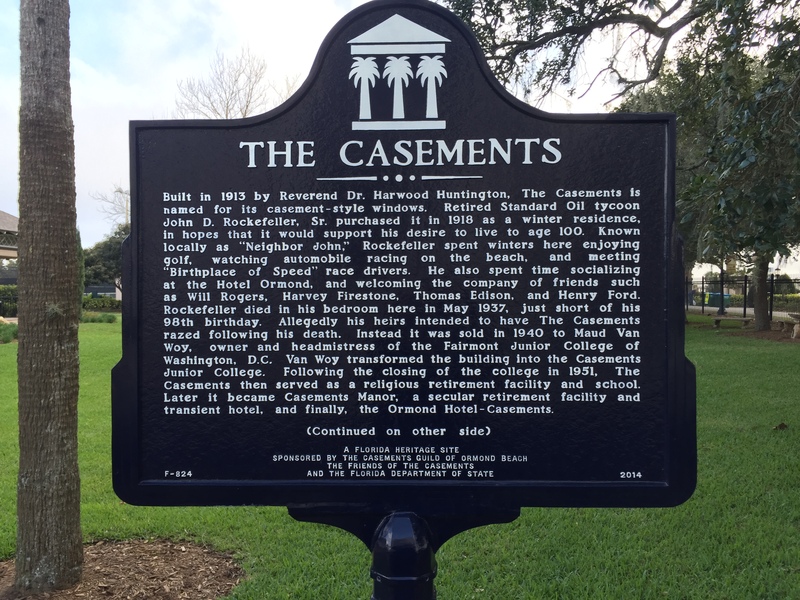 The Casements Sign on Granada Blvd.